Happy New Year – I hope all your celebrations were merry, and the new year holds many pleasant and happy moments for you. Mine has been mostly fab, so far. I spent new year’s eve with a friend in Kent, and that was lovely. On my way back, she tugged along to London, and we visited the Victoria and Albert Museum, one of my favorite museums in the world. 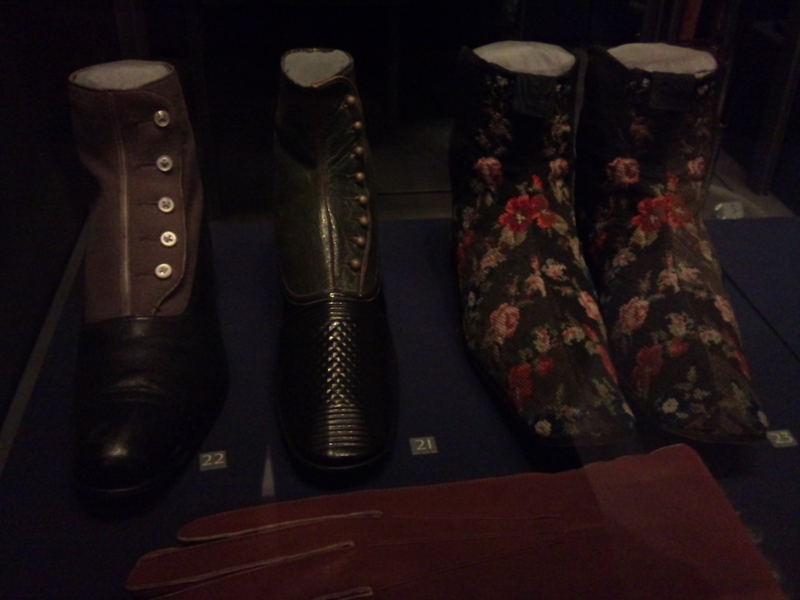 In particular, I’m a fan of their collection of the rather mundane – shoes, clothes, crockery and such. We also managed to catch the last day of an exhibition I had read about before, and wanted to see very badly. It would have been very much worth it for this alone – it was called “The Power of Making”, and had all sorts of handmade things on display. In Germany, we have a word for that, it’s called “Kunsthandwerk”. Basically, it means utilities made by hand and on such a skill level that it’s actually art. Does such a word exist in English? I don’t know … artisan craftwork might be closest? This exhibition was more on the artsy side, with objects that were clearly conceived in a crafty tradition, but executed to become art … a dress made from tailor’s pins. Wooden bicycles. Papiermache coffins. And the like. 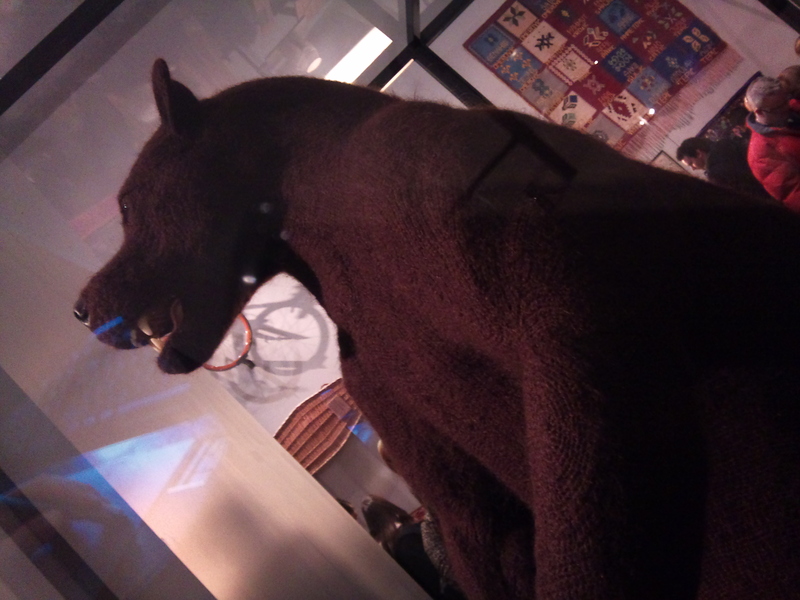 I really should go to the museum more often. And next time, I’ll talk about my plans for the blog, as I’d like to make a few changes … see you soon! And I can’t even claim Thanksgiving as an excuse – I’m a German living in the UK, so no food induced coma for me. I have, however, a shopping tip – the Colette Holiday Bundle. For a measly $50, you get the Colette Sewing Handbook and two of their lovely patterns – total bargain! This translates to just a tad over £40, including the shipping fees. My second choice was Violet, which just looks adorable with the little peter pan collar and the half-length sleeves. If you are participating in a “No buy Friday”, which I think is a brilliant idea, don’t despair – the bundle is available throughout the Holiday season. Last weekend, I didn’t spend a lot of time knitting, because when I wasn’t running around like a headless chicken to catch up on errands, I spent hunched over the sewing machine. To say it with the words of my colleague: If you’re asked where you bought them, that’s probably the best compliment you can get. They did ask, and I’m rather chuffed with the outcome – especially considering that these were meant to be a toile, a test run, and I would have been okay if they’d turned out not so great. 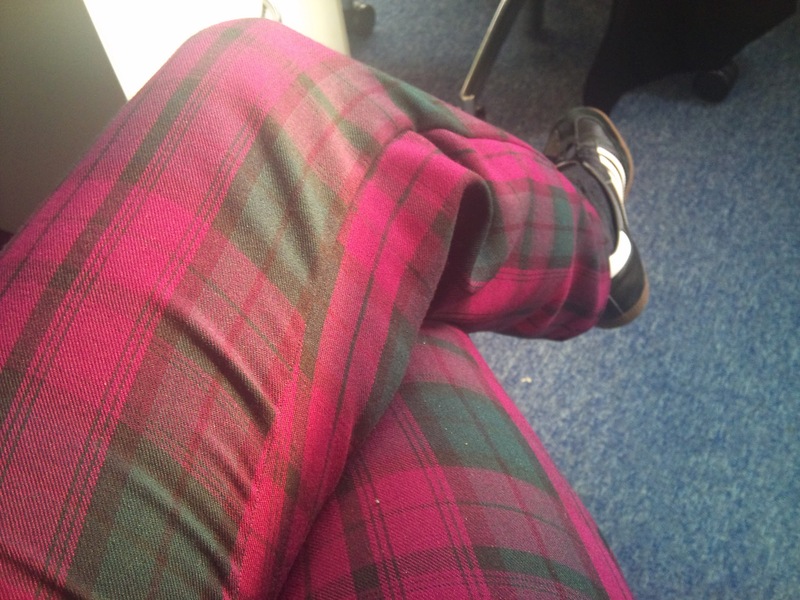 As it is, I have now a pair of purple-and-green tartan trousers. Good thing Christmas is just around the corner … ! 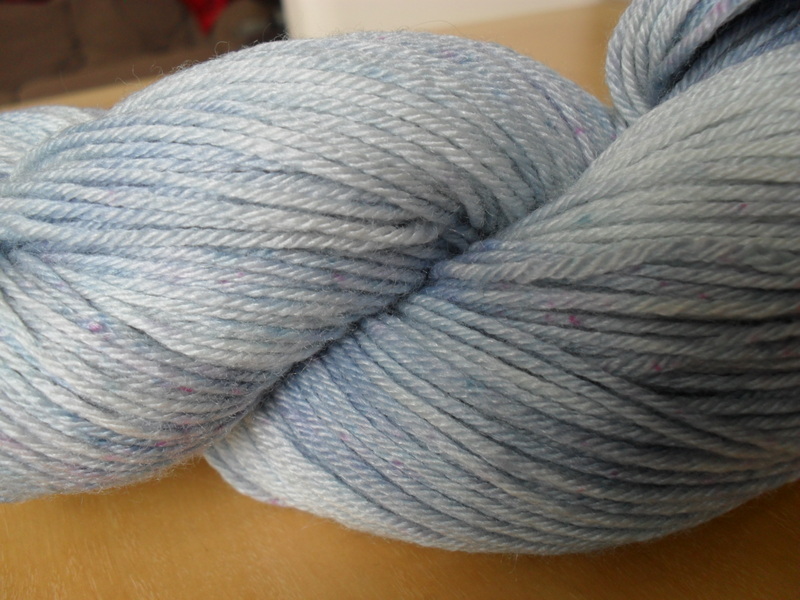 This was the first in a row of three skeins I hand-painted or bowl-dyed in my kitchen last week. The Poison is dyed with food coloring, and it’s … well, let’s say not exactly what I had in mind. My idea was to mix blue, green and some yellow to create a green undertone with blue and brighter highlights. 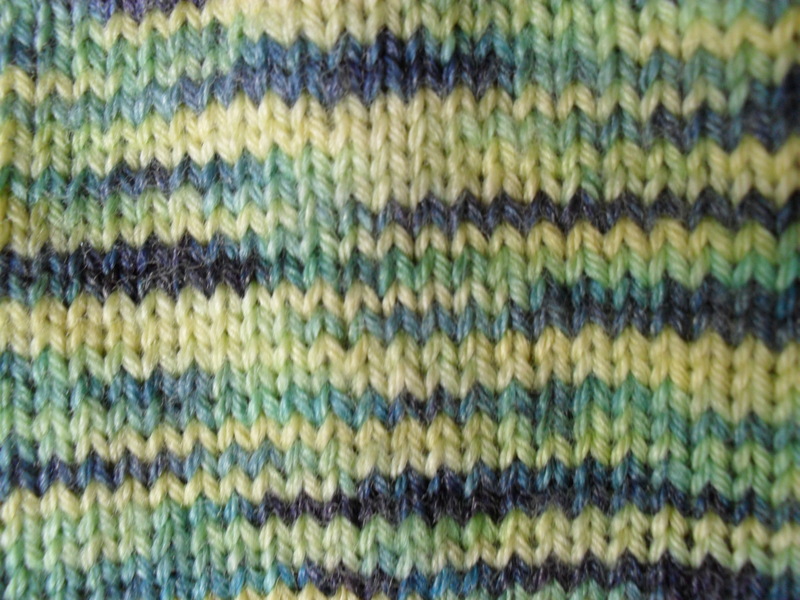 What I got was yellow with some green-ish stripes. The blue, however, turned out lovely, the lighter stripes somewhat watery, and some impressively dark ones, too. The above was my first experiment with Dylon hand dye, and it turned out much better than I expected. 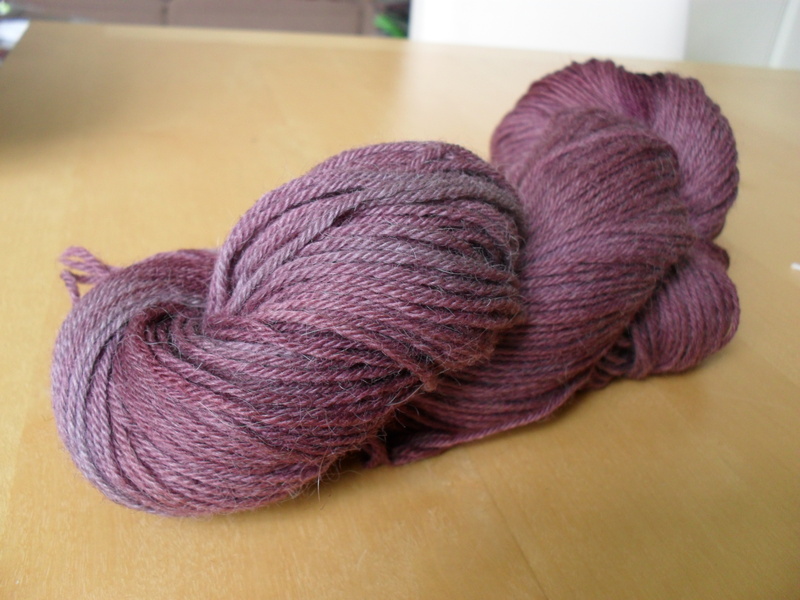 While soaking it, I started to experiment, and just sprinkled some of the dye powder directly onto the yarn. That’s what created the purple stars. Usually, I’m not much for baking. I love to cook, and I make my own sourdough bread, but other than that, baking is rather underrepresented in my kitchen. Probably because I’m not very good at following recipes too closely – usually, they work as inspiration for me, not a step-by-step guide. 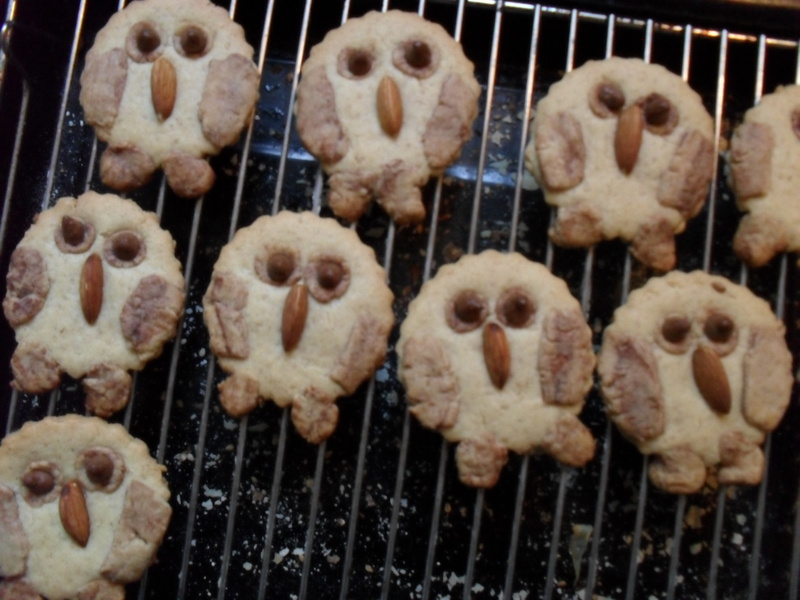 However, when I saw this recipe on Pinterest, I knew I had to make them for my colleague and friend K. It was her birthday, and she just loves owls. 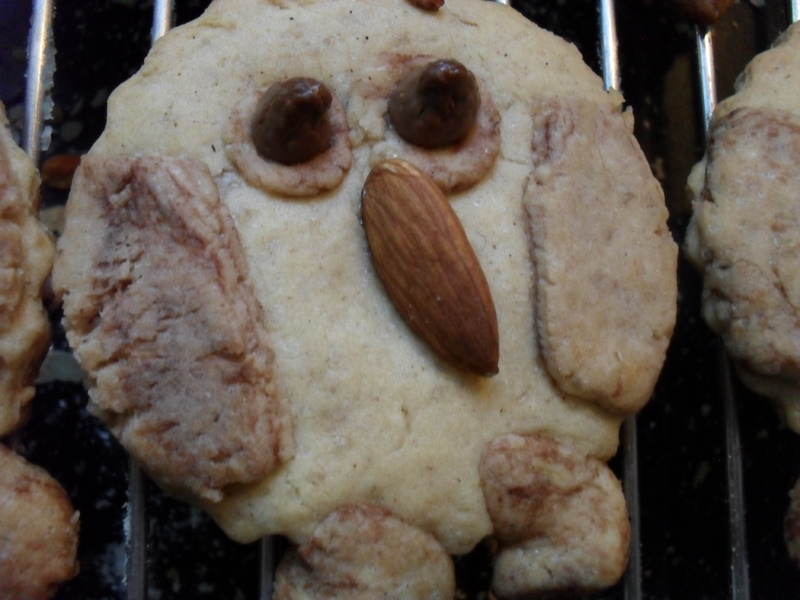 I pretty much followed the recipe as given, just changed the design a bit … I coloured some of the dough with cocoa, and formed little feet and wings to make them a bit … well, more owly. Author kokorimbaudPosted on August 1, 2011 August 1, 2011 Categories UncategorizedTags baking, not knitting, owl cookiesLeave a comment on Not knitting.